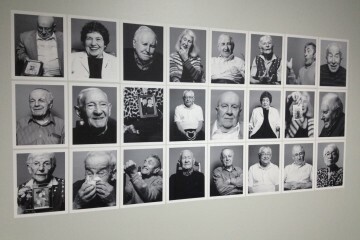 All images courtesy of the Holocaust Center of Pittsburgh. You’re heard of superheroes with remarkable powers. Well, get ready to meet some inspiring superheroes of a different kind who are educating and inspiring the public about the Holocaust. 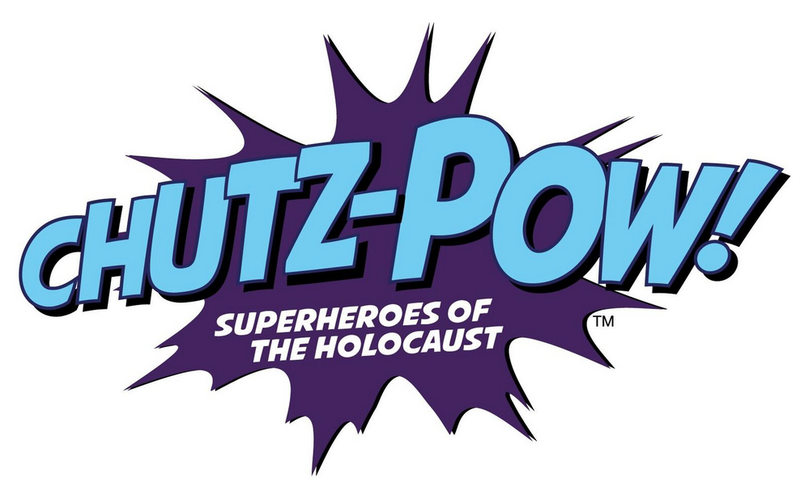 This Sunday, Pittsburgh’s newly opened Holocaust Center is unveiling the second volume its original comic book series, Chutz-Pow! 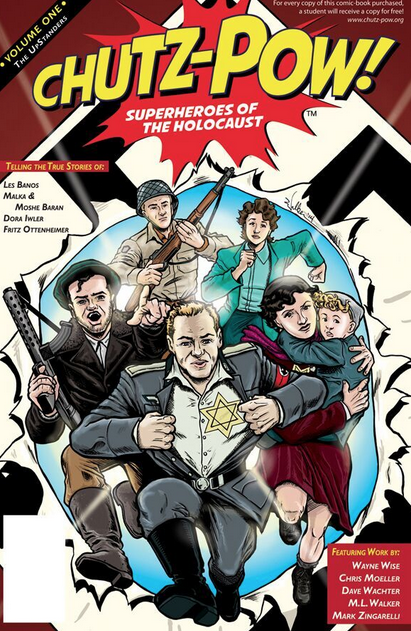 : Superheroes of the Holocaust!, and you’re invited to the launch party. 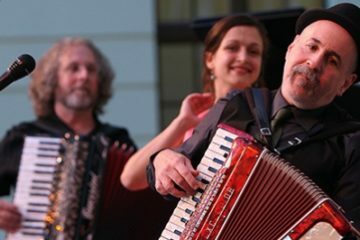 Free and open to all ages, the welcoming open house event runs from 2 to 5 p.m. on Sunday. Attendees will have the chance to meet some oartists featured in the new comic book, and enjoy fun activities and refreshments. Kids are encouraged to attend dressed as their favorite superhero. Launched by the Holocaust Center in 2014, Chutz-Pow! is a unique educational exhibit and graphic novel series that honors Holocaust survivors, resistance fighters and liberators by transforming the traditional model of Holocaust education into an interactive storytelling experience. Featuring internationally known Holocaust heroes, Chutz-Pow! 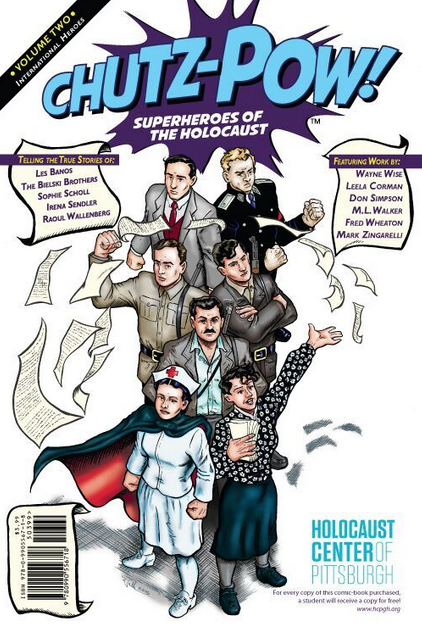 Superheroes of the Holocaust Volume 2 showcases stories about The Bielski Brothers, Jewish-Polish farmers who established one of the largest partisan camps; Sophie Scholl and the White Rose—a secret society formed in Munich to protest the Nazi regime—Irena Sendler, a Polish social worker who rescued thousands of children and orphans from the Warsaw Ghetto; and Raoul Wallenberg, a Swedish diplomat who heroic actions saved more than 100,000 Jews. Lead artist for Volume 2 is Pittsburgh-based illustrator Marcel Walker, recipient of a 2016 Advancing Black Arts in Pittsburgh grant from The Pittsburgh Foundation and The Heinz Endowments. The second installment of Chutz-Pow! also features work by comic book artist and author Wayne Wise. Examining the consequences of discrimination and hate, Chutz-Pow! also demonstrates how individuals can become UpStanders—people who take action to help others when no one else will. Chutz-Pow! Volumes 1 and 2 are both available for purchase at the Holocaust Center of Pittsburgh and at select retail locations in the area. The project also includes a curriculum for schools, organizations and institutions to be used an educational resource for teaching about the Holocaust and its heroes. Sunday’s event is free to the public. RSVP is required.